As journalists we have investigated FIFA corruption for many years. We are recognized internationally as experts on the dark world of Joseph Blatter and his associates, inside and outside FIFA. We have been invited to co-operate with Joseph Blatter’s so-called ‘reform process’ at FIFA. It is absurd that Blatter, who has benefited from the explosion of corruption during his tenure as FIFA General Secretary and President and who managed the kickback scandals for at least two decades, is controlling this ‘clean-up’ scheme. It is created by Blatter to protect him and those close to him. His pretence of a ‘road map to reform’ is risible. 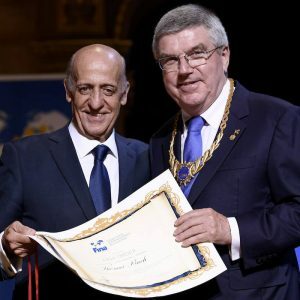 Also, we are concerned that Professor Mark Pieth, through an employee, threatened legal action against one of our colleagues investigating how much Pieth was paid by FIFA and how much he will get from FIFA in future for the work in the so called Independent Governance Committee (IGC), although Professor Pieth eventually confirmed the figures. In these circumstances – and for the reasons given below – we are unable to co-operate with FIFA’s Independent Governance Committee. Firstly, there has to be a rigorous investigation of FIFA’s embedded corruption. The discoveries in this process would guide subsequent governance reforms. We also state our solidarity with Denis Chaumier, the editor of the Group’s publication France Football, recently fired by Amaury General Director François Morinière. As journalists, we have no interest in collaborating with a committee that includes Mr Morinière. – Sunil Gulati, president of the United States Soccer Federation. Mr Gulati has been silent during the two decades of Jack Warner and Chuck Blazer’s controversial stewardship of CONCACAF’s finances and the massive World Cup ticket rackets run through this regional confederation. It is reported that Mr Gulati has political aspirations at FIFA and this is an additional reason to disqualify him. We are concerned that there has not been fuller disclosure of financial and other interests by several other members of Professor Pieth’s IGC. We support the views of the Football Supporters Europe who have also declined to be involved. Without delay Blatter can and must publish his personal copy of the report by Zug Investigating Magistrate Thomas Hildbrand into kickback corruption at FIFA and the recipients of more than 140 million Swiss Francs (US$100 million) in bribes paid by former marketing company ISL/ISMM.We are advised that there is no legal impediment to Blatter putting his copy online today. We do not believe his claims that unnamed people are delaying publication by him. We are told that the report destroys his claim in June 2010 to have been ‘cleared’ by the investigation. 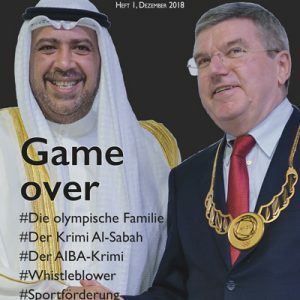 Blatter should publically instruct his friend Jean-Marie Weber, who organised the 140 million Swiss Francs worth of kickbacks paid by ISL, to disclose the identities of all sports officials who received them. FIFA should adopt immediately genuine transparency. This means putting all FIFA information online – as do all first world governments – including audio/visual streaming and written minutes of all committees, accompanied by all reports submitted. All votes on all occasions must be recorded by name. FIFA’s published accounts are a disgrace, designed to disguise how football’s money is spent – and on whom. KPMG should be replaced by an auditor committed to transparency. Publication of all confidential management letters from auditors KPMG since 1999. These contain explosive evidence about misuse of FIFA funds and criminal money-laundering through FIFA’s Finance Department. All FIFA financial documentation since 1998 when Sepp Blatter became FIFA President should be put on-line – and then subjected to independent forensic examination. This material should include all payment orders made by Blatter using his astonishing power to be sole signatory of cheques. Let the world see a list of who got the money. 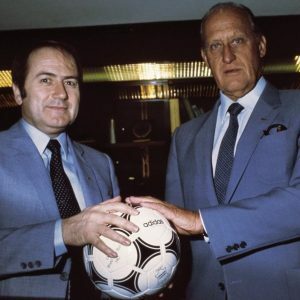 FIFA’s Finance Department must produce the documentation of the $1 million kickback of March 3, 1997 from ISL to Havelange that was mistakenly sent to FIFA’s UBS account and then re-routed by General Secretary Blatter to Havelange. FIFA can achieve the above, swiftly, without any outside intervention. That would show a genuine commitment to reform. Then the investigations can commence. The salaries, bonuses and other benefits paid in the last decade to Blatter, Jérôme Valcke and all departmental directors. All fees, bonuses and expenses – submitted and paid – of ExCo members in the last decade. And details of their Swiss tax arrangements. The contracts and cost since 1998 of Blatter’s use of expensive chartered jets, his destinations and justifications for trips. 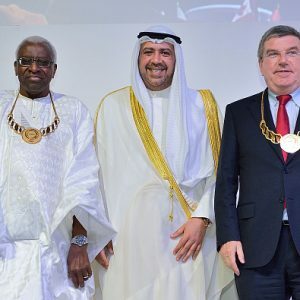 The allegations of corruption in the awarding of the 2018 World Cup to Russia and to Qatar in 2022 and the actions, where appropriate, of ExCo members Issa Hayatou, Jacques Anouma, Hany Abo Rida and Amos Adamu. This crucial investigation should be handled professionally by law enforcement agencies or an independent investigation company, and where possible, liaising and assisting the current FBI investigations. Investigating all aspects of the FIFA-related activities of Worawi Makudi of Thailand including the disclosure of money from FIFA’s Goal and FAP-programme and also World Cup TV rights for Thailand. Investigation of allegations made in Argentina that FIFA finance committee chair Julio Grondona controls offshore accounts, mostly in Switzerland, containing $120 million. There seems no obvious source of this wealth. Investigation is long overdue into how Chuck Blazer could simultaneously be both Treasurer and General Secretary of CONCACAF – and the secret payment to him of $10 million in recent years as ‘commissions.’ Have his offshore assets come from FIFA funds – including his vintage Mercedes car registered in Zurich in FIFA’s name? Re-open the investigation into Jack Warner and extend it to embrace every payment of any kind since 1998 to Warner, members of his family, companies owned by him including Simpaul travel agency, the CFU, CONCACAF and the João Havelange Centre of Excellence. Investigate Blatter’s election campaign expenses for every election including 1998. In that campaign he charged his expenses to FIFA. Who paid Walter de Gregorio and Brian Alexander to organise Blatter’s campaign in 2011 to retain the Presidency? Mr Alexander does not appear to be employed by FIFA but he briefs reporters at FIFA House on behalf of Blatter. Who pays him now? 1. I am becoming weary of the continual deceptions of FIFA’s press office which appears under orders to protect Blatter and General Secretary Valcke and ignore the public interest. 2. FIFA ticks all the boxes in academic definitions of Organised Crime Syndicates. I welcome more discussion of this theme. 1. This is my personal view and not that of my editor. 2. Regarding the TV rights for Jack Warner the crucial point is: Who approved the books/accounts of Fifa every year despite the fact that Warner is alleged never to have paid for them? In the books of Fifa, these TV rights were not booked with only 1 US $. 1. The 20 points of action we demand can only be a starting point for all FIFA investigations. Every further suggestion is welcomed. 2. I totally agree with the analysis that FIFA ticks all the boxes in academic definitions of Organised Crime Syndicates. I welcome more discussion of this theme. 3. 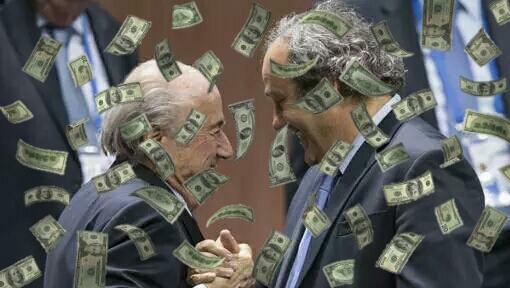 Disclosure and destination of all fees, expenses and other monies paid to Blatter’s (former?) 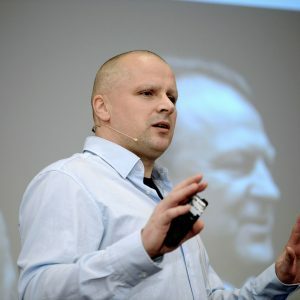 so-called personal ‘strategic advisor’ Peter Hargitay and businesses – including media and World Cup tickets – he has been connected with in the last decade. Where inappropriate, repayment to be demanded. The first real standard. FIFA will not keep up with it. Thanks for your great work. Investigation into the Company Match Hospitality (the majority owned by the Byrom Brothers and also by Infront with it’s chair Philippe Blatter). FIFA has given them (without tender) the exclusive rights to sell travel, hotels, tickets, catering and so on not only for World Cups. For instance Grondona „won“ (again for 2014) with his company Rotamund as sales agent for his region. Who else of FIFA’s members or affiliates? The tenders (if existing), the overall terms for these deals and the results should be published. Methinks referring to the first world is a bit misguiding, as to my best knowledge there is no definition of it (and the term has a highly negative connotation in many respects). I would recommend using „OECD World“ instead, even more as OECD is tackling the core FIFA problems (please take it as a hint, not as an invitation to discuss the OECD anti bribery actions or OECDs‘ compliance, corporate governance, and or book keeping standards). Excellent, sums it up nicely! I think it would be very useful, if your statement could be spread as widely as possible. @ JW: Oops. Teufel mal wieder mit Bezelbub eingerieben… :-o Illustriert aber schon Blatters Beuteschema hinsichtlich Experten-Auswahl. Thank you for this list, and keep up the excellent work. Der ehemalige Bayern-Manager kündigte eine Kampagne gegen Blatter an. Der FC Bayern werde die Missstände in der FIFA nun permanent öffentlich thematisieren. Uli Hoeness ist immer für eine Überraschung gut. Und wie es scheint, kann er auch ganz gut über seinen Schatten springen. Christoph Daum die Hand reichen, Ballack´s sauberen Abschied auf dem Weg bringen und jetzt dafür Sorge tragen, „dass Blatter nicht noch mal Zeit kriegen darf bis zum Ende seiner Amtszeit“. Jetzt fehlt nur noch, dass der designierte Niersbach sich auf Uli´s Geburtstagsparty auf die Anti-Blatter-Front definitiv einschwören läßt. Eine Revolution von „unten“ – wo auch immer „unten“ in diesem Fall ist – macht sich immer besser als eine von oben. Es muss doch jemanden von der journalistischen Fussballlobby geben, der sich mal um ein konstruktives Bündnis mit den Bayern-Chef kümmern kann. Oder will man der BILD die Kampagne überlassen, die dann zeigt, dass sie nicht nur BPs stürzen kann? 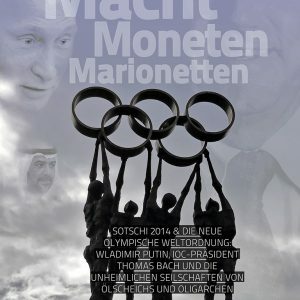 waren grondona, leoz, teixeira und makudi eigentlich auf der joseph s. blatter-selbstbeweihräucherungsgala? ich hab nur chucky gesehen. allein dieses hinzugedichtetete s. beim blatter… wenn einer johann müller heißt und den spitznamen hannes hat, ist er ja auch nicht johann h. müller. ps: ihr hättet die mitarbeit nicht ablehnen, sondern lieber einen hübschen eklat innerhalb des reformkommitees verursachen sollen – die medienaufmerksamkeit wäre vermutlich größer gewesen. Zu befürchten ist, dass Blatter zu seinem persönlichen Ende hin noch jemanden aus seiner Sippschaft in eine Entscheiderposition bringt: Philipp Blatter for FIFA-Generalsekretär! Jerome Valcke for FIFA-President! Gibt es eigentlich Rechenschaftsberichte über Sepps persönliches Schwarzgeldkonto, Projekt „Goal“? 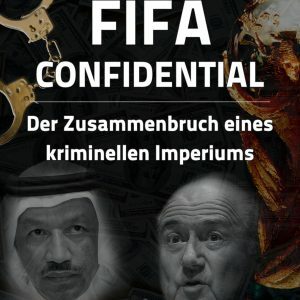 Am Freitag zitiert der wegen Korruptionsvorwürfen zurückgetretene Warner erstmals aus einem Schreiben des Fifa-Generalsekretärs Jerome Valcke, das ihm angeblich vorliegt: ‚Hier ist der Vertrag, unterschrieben vom P. Das Geschäft ist nicht durch alle üblichen Gremien und Kommission gegangen. Daher bitte ich, es vorläufig nicht öffentlich zu machen.‘ P. ist in der Fifa die Abkürzung für Präsident. Die Fifa geht öffentlich auf die Suche nach 250000 Dollar, die sie Warner Anfang 2010 zweckgebunden als Erdbeben-Hilfe für Haiti überwiesen hatte. Doch nur 60000 Dollar sollen auf der verwüsteten Karibikinsel angelangt sein. Bis zur Klärung des Verbleibs der restlichen Gelder greift nun offenbar Sippenhaft, die Fifa bezahlt dem Fußballverband von Trinidad & Tobago (TTFF) kein Geld mehr aus. Überprüft wird auch der Verbleib weiterer 500000 Dollar, die der Fußballchef von Südkorea, Chung Mong-Joon, als Erdbebenhilfe aufs Konto nach Trinidad geschickt hatte. 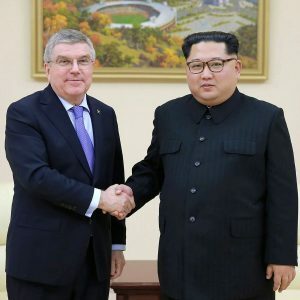 Damals warb Südkorea um die Ausrichtung der Fußball-WM 2022. Von diesem Geld, so Haitis Jean-Barth, sei nie ein Dollar auf der verwüsteten Insel angekommen. Rochebloine fordert nun „interne Untersuchungen“ von der Fifa, etwa zu den skandalösen Umständen um Blatters Wahlkampf 2011. Das ist einerseits löblich, andererseits aber wohl ohne große Wirkung, da bei „internen Untersuchungen“, die den Präsidenten Blatter betreffen, traditionell nichts herauskommt, was Blatter schadet.